Volvo ECR35D, ECR40D mini diggers are designed to work with power and precision in tight spaces, reducing the risk of damage and improving safety in all applications. Featuring a comfortable cab, excellent hydraulics, easy-to-use controls and outstanding serviceability, these short swing radius machines are the perfect choice for any job site. Operate in a best-in-class cab for superior operator comfort and less fatigue. The ECR35D, ECR40D mini diggers are equipped with a spacious operator environment offering excellent all-around visibility and an adjustable suspended seat and console. Most machine functions can be accessed through the centralized keypad for ease of control and smooth operation. Get the most out of your machine. The ECR35D, ECR40D mini diggers are a perfect match with Volvo attachments allowing you to change hydraulic settings directly and easily from the keypad. For increased versatility and uptime, Volvo has a durable range of attachments so you can access more applications and effectively perform a variety of jobs. 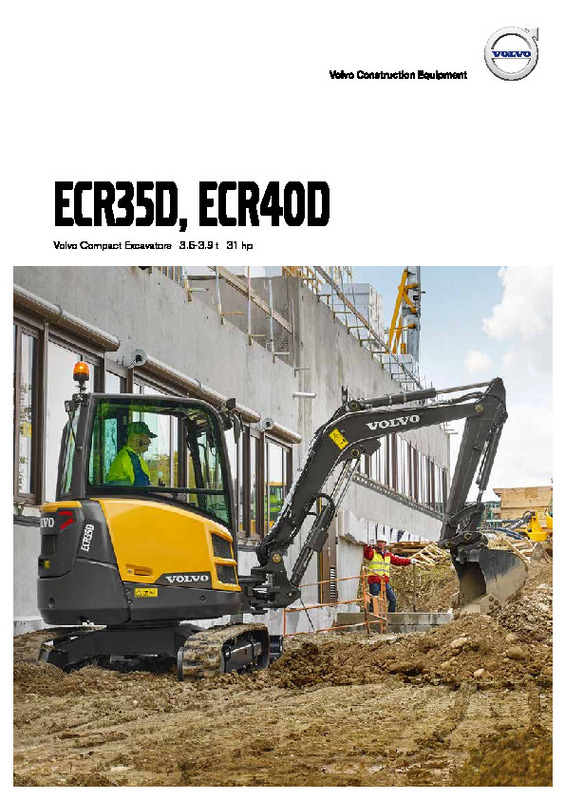 Download the ECR35D/ECR40D compact excavator brochure, including specifications. Finance is available, subject to conditions. 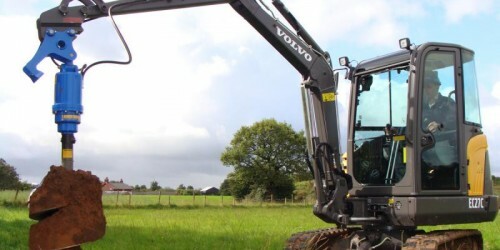 Do you need spare parts or accessories for Volvo ECR35D, ECR40D Compact Excavator?